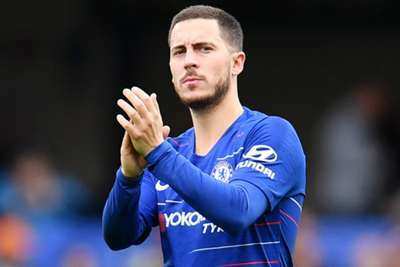 Eden Hazard revealed he has "always loved Real Madrid" as the Chelsea star insisted he does not want to have any regrets at the end of his career amid mounting speculation. Hazard's contract expires in 2020 and the Belgium international has been linked with a move to Champions League holders Madrid. "There was a bit of talk [with Chelsea] but then it stopped, now we're waiting," Hazard told RMC. "You know me, I've always loved Real Madrid, even before Zidane. We'll see what happens," Hazard continued. "Like I said, I'm finishing this year with Chelsea. I still have a year of contract. After this year, we'll see." "The new coach [Sarri] thinks about football like I do, so we'll see," Hazard added. "The family is in London, I am going to be 28 years old. I don't want to have any regrets at the end of my career. "It is a decision I am going to make. I don't know when, but I'll take it."